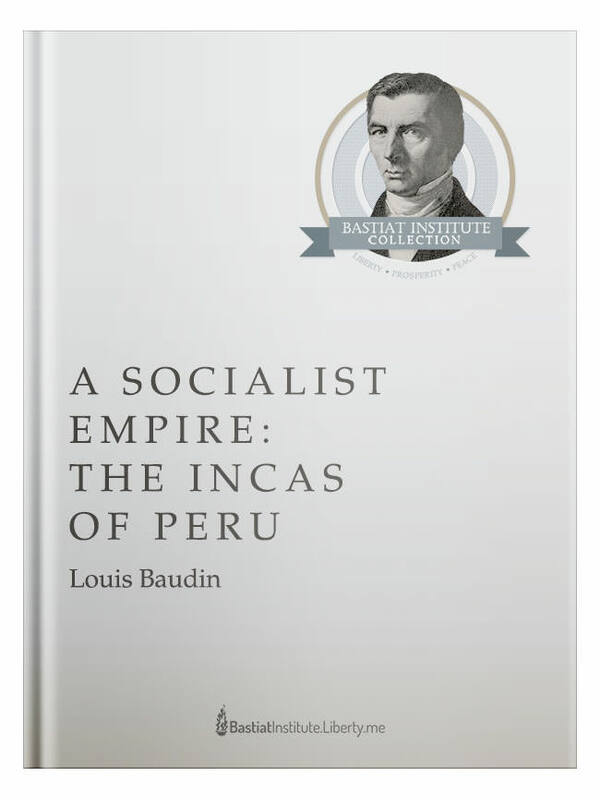 Ludwig von Mises writes in the foreword, “”Professor Baudin’s analysis of the—unfortunately only meagerly available—knowledge about the social affairs and conditions of the Inca regime in Peru is a classic of history as well as of ethnology, economics, sociology, and social psychology. Baudin defines state socialism as the ability to regulate social relations. This arrangement was only able to be perpetuated through fear and an appeal to cultural authority. The higher ranking Incas forced a degree of uniformity on society. Everyone had to dress similarly, practice the same religion, eat the same food, and speak the same language. While the socialist system may have sustained for some time, Baudin makes it clear that the situation was horrible for common individuals. The Incas had never developed an idea of private property. Because of this, The Socialist Empire: The Incas of Peru offers a unique analysis of the effects of forced collective ownership on a society that has no precedent for any competing arrangement.